When a homeowner adds a DaVinci imitation slate or shake roof often the first thing they do is stand back admiring how great their home looks. Now that the roof looks so great, they often decide other parts of their exterior could also benefit from being spruced up. 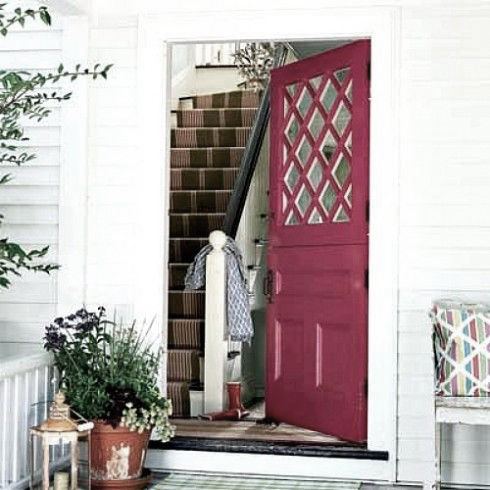 The front door is often the next area homeowners look to improve. The good news is that all it may take to have your front door live up to the beauty of your roof is to brush on a fresh coat of paint. But what color? velvety rose petals Cranapple adds a touch of tradition to any style home. Using images from This Old House matched up to DaVinci Roofscapes roof colors you can see how the hot colors work in an exterior scheme. See a few examples and the reasons the combinations work well together. This monochromatic scheme of the natural siding and DaVinci composite slate would work well with just about any color family. 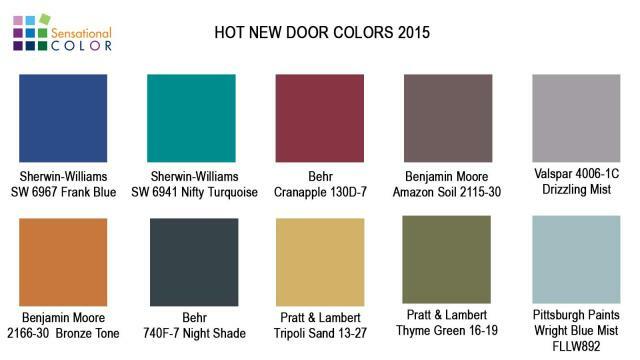 I like the cheerful feeling a color like Tripoli Sands projects. Wright Blue Mist would also be a wonderful choice. Capture the glow of the beaches along the Mediterranean with this stylish shade that brings out the golden colorcast of stone or brick. 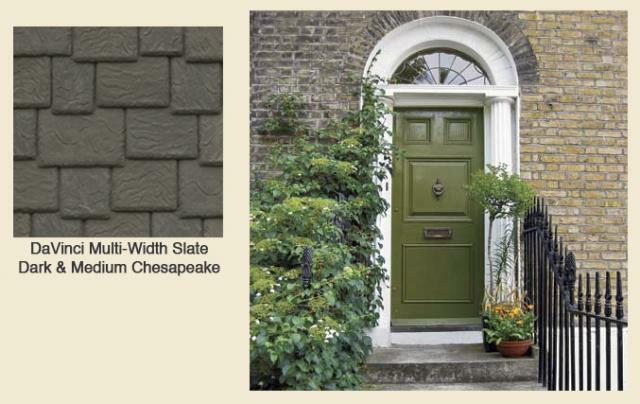 A blend of DaVinci Multi-Width Slate in Dark and Medium Chesapeake is a perfect match to the colorcast of the bricks. Thyme Green on the door plays off the greenish cast of the roof color and picks up the warm tones in the brick. A classic, rich green with a touch of brown never goes out of style and pairs well with most exterior home colors and features. 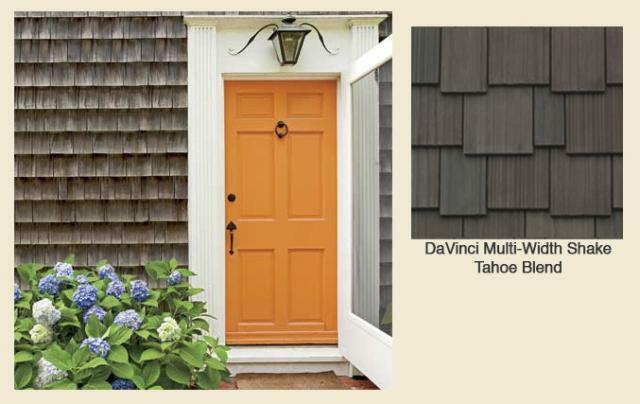 DaVinci Multi-Width Shake in Tahoe Blend and the siding get a lively lift with a color like Bronze Tone that brightens up a subdued exterior. Bold but not overpowering, this deep shade of orange is a good choice to add energy to any neutral theme. This patchwork blend of bricks needs a strong roof color. 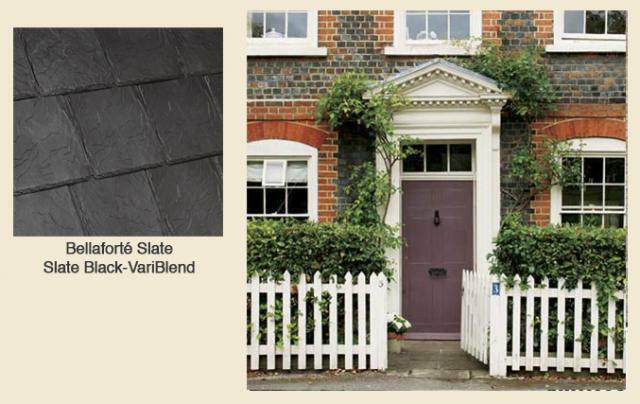 Bellaforté Slate Black-VariBlend fills that bill. Painting the front door black could work but using a color like Amazon Soil that incorporates all of the colors in the brick is friendlier and more interesting. 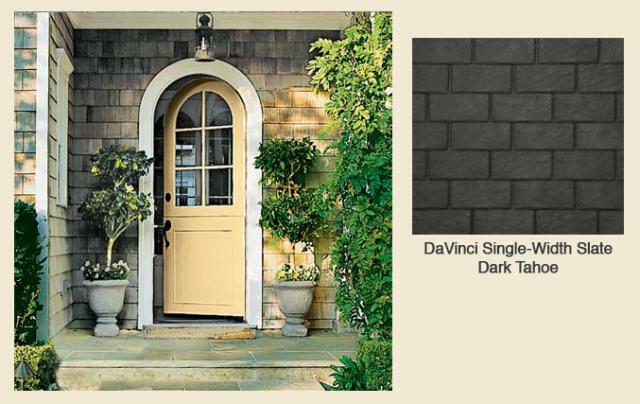 A deep, lush shade of mauve, this dramatically dark color gives the front door a velvety richness. Your roof and front door are two of the key elements on your exterior. By picking the right color for both your home will stand out from the rest and have instant curb appeal.